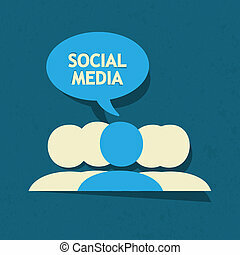 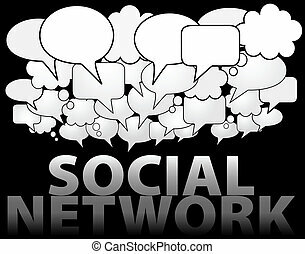 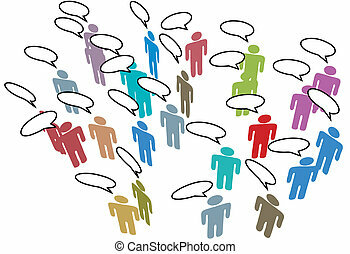 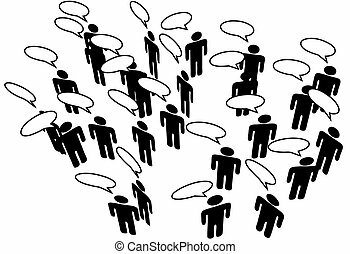 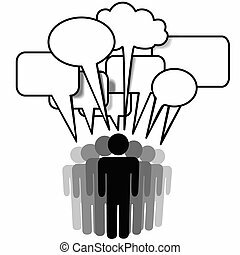 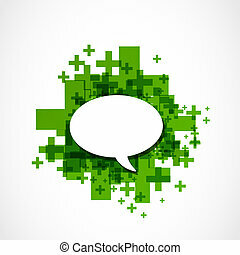 Crowd social media people speech bubble network. 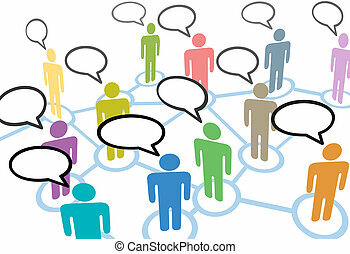 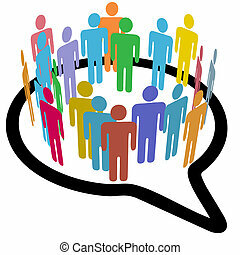 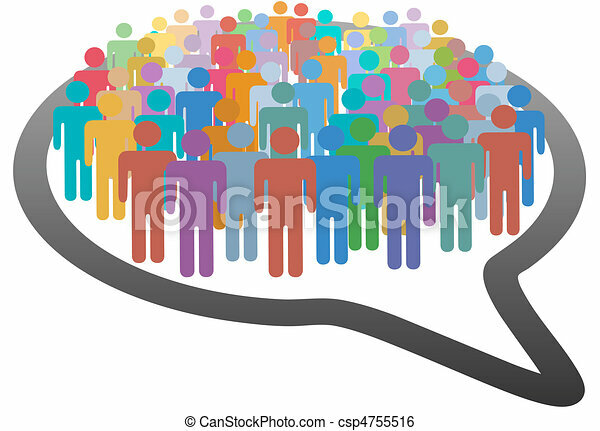 A group of many social media people crowd inside a speech bubble network. 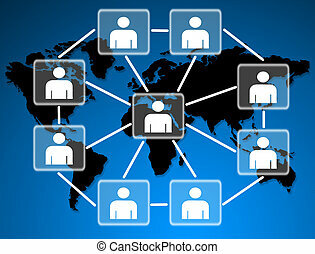 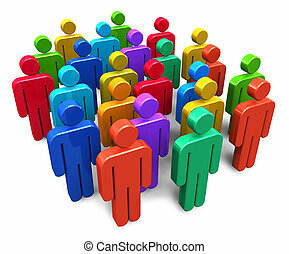 human models connected together in a social network. 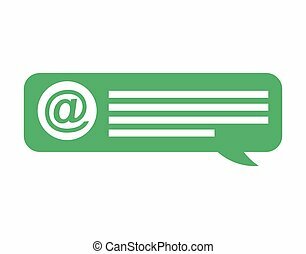 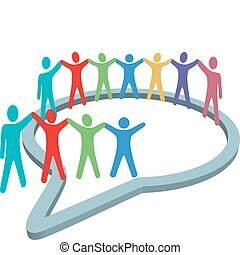 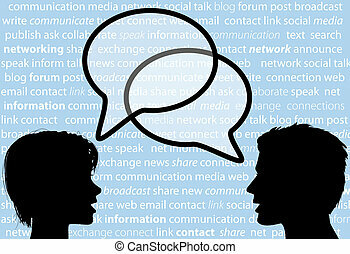 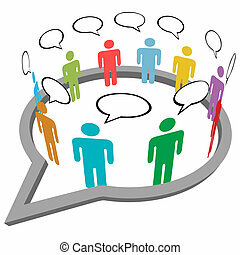 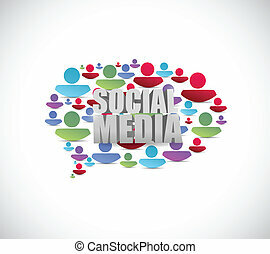 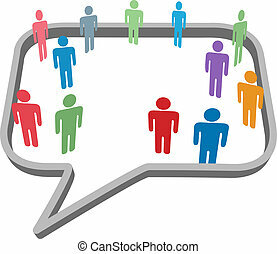 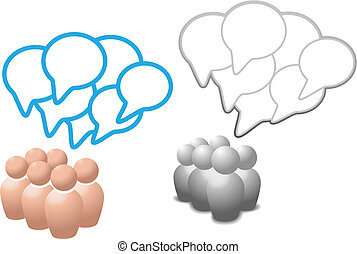 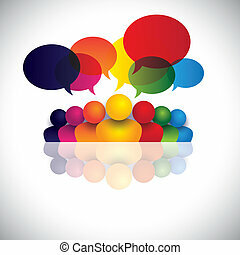 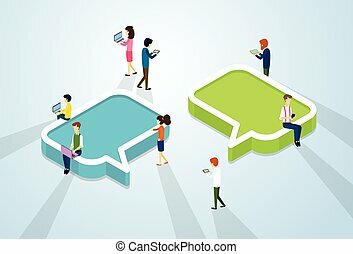 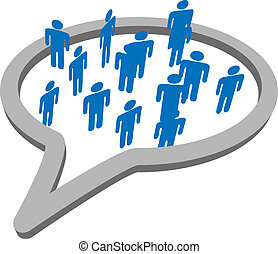 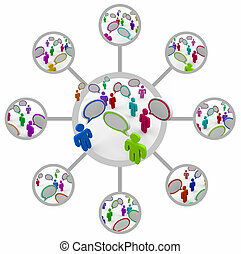 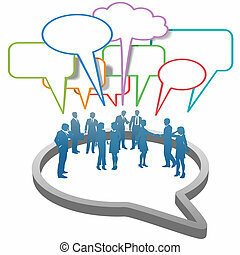 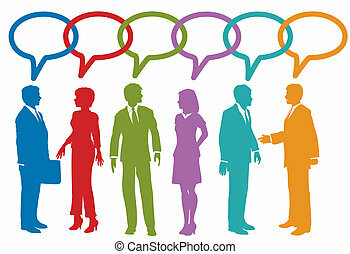 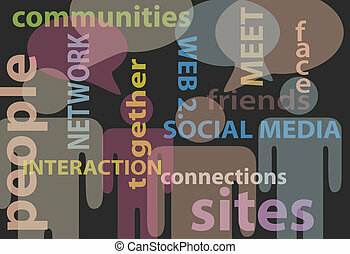 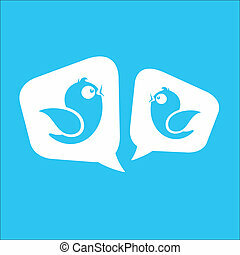 An inner circle of blue symbol people meet and talk inside a social media network speech bubble.